Our arbors and ramadas add a stylish and stunning visual impact to your outdoor space. They can be easily integrated into an existing yard, garden, patio or used as a distinctive new focal point. We offer a variety of designs, sizes and wood choices (redwood, cedar or pine) to suit your unique sense of style. Arbors and ramadas create an inviting outdoor social gathering space while providing a cooling ambiance of filtered summer sunlight. Vines can grow on them to create a beautifully organic space while the wood remains strong and resilient. Personalize them further and adjust the amount of desired light with the use of fabric panels, additional lattice panels, 1" x 2" or 2" x 2", etc. We build with sustainable, environmentally friendly California redwood, cedar and pine and seal our furniture with Penofin Penetrating Oil for a long lasting finish or you have the option of leaving the furniture unfinished to weather to a soft driftwood gray. 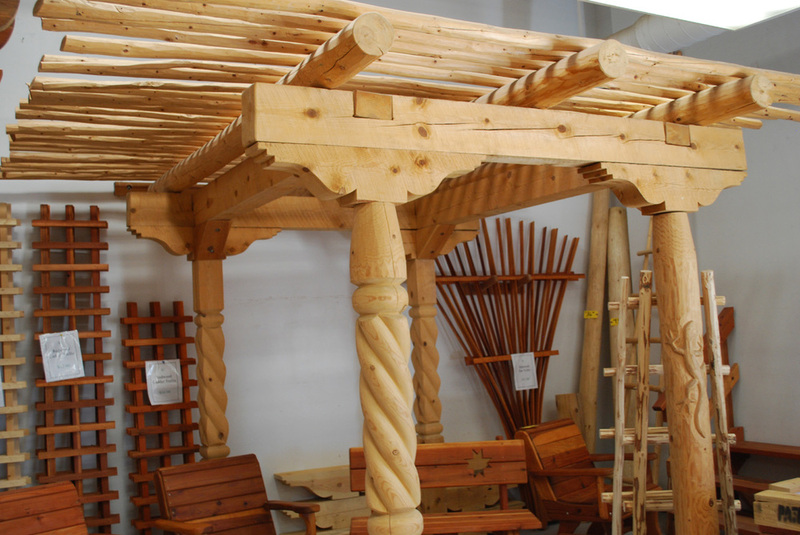 Our arbors and ramadas are designed and hand built at our store in Northern New Mexico. Beautiful and functional, our furniture is designed for timeless style and durability. 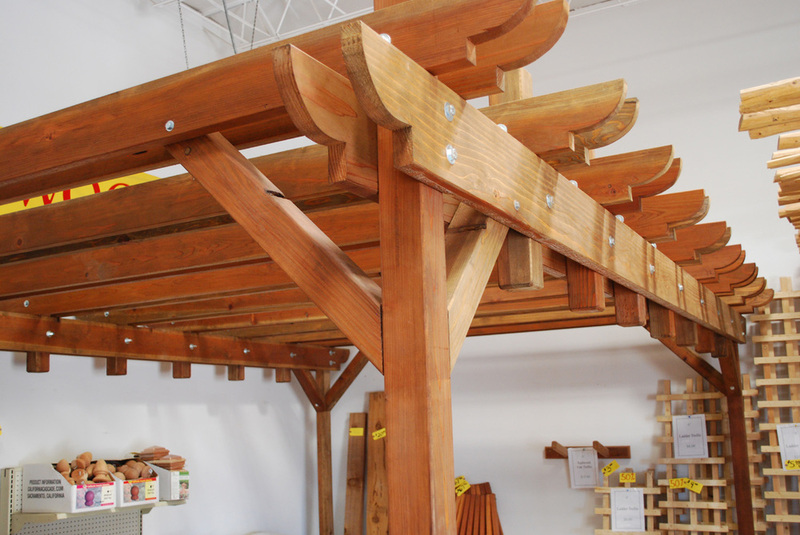 Due to their size, arbors and ramadas are In-Store products. Visit our friendly, family-owned showroom. We load your purchase in your vehicle and offer delivery throughout the Four Corners area. Call for local pricing.